I’ll tell you what “we” need to do. The middle class needs to start by taking a very serious look at itself, because all the problems that the middle class is undergoing could have been prevented by making different choices. The middle class can be divided into consumers and savers/producers. In recent times, consumers have far outweighed savers and producers (unlike say during more thrifty times) and so the middle class is often confused with consumers. Those of us who belong to the saver/producer side are positively thriving in this economy—the only thing we have to deal with is consumers who keep telling us to buy more stuff, because apparently stuff makes you happy. I guess my former neighbors who had so much stuff stored in their garage that they had to park their car in the street must have been supremely happy. Irony aside. As a country, America is very productive. There are enough resources to live very well if those resources are spent wisely. We are twice as productive as we were 50 years ago. By all rational means it should be possible to work only two weeks a month and live perfectly happy lives. Alternatively, it should be possible to work for less than a decade and then retire early. I did just that. You can do just that. Unfortunately, many people did not. They spent their riches without a second thought. Here’s the exact problem with middle-class consumers. As a group it’s net-negative productive. It takes more than it gives. Despite how hard it works, it consumes more than in produces. It spends more than it earns. It lives above its means. This is possible because banks and credit cards have enabled this behavior through cheap credit. Whether this is the fault of the banking system or the middle class, that is, the creditor or the debtor is an age-old question. It’s like asking who’s responsible for murders: The person pulling the trigger or the person giving him the gun. It comes back to personal responsibility. I’m not touching that one with a ten foot pole in this post—I suspect you know where I stand on this issue. The worst part of it is living in culture knowing that this didn’t have to happen if people would just wake up. I’m middle-class. As an academic scientist, I made less than newly graduated college grads in my field for most of my career (with a two year exception at the end). However, instead of spending my money and going into debt buying the biggest house I could get my hands on; buying a new car and a new TV with the only concern being whether I could make payments and generally maxing out my lifestyle to the best of my ability and to the extent my salary would allow, I saved money. In fact, I saved a lot of money. I lived far below my means. Now, many people don’t want to do this. They don’t want to “give something up”. They don’t want to “sacrifice”. That’s how they see it. The way I see it, I’m not giving up anything I like. I spend very deliberately. Some people call that pinching pennies. I call it prioritizing and not wasting money. In particular, I don’t waste a lot of money on interest and fees(*) because I want to buy something now rather than wait until I actually earned the money; and even then I only buy things which I’m sure I’m going to use and enjoy. (*) This alone means I’m getting things 20% cheaper than someone who’s carrying a year’s worth of spending on their cards. It’s curious to me how people don’t want to “sacrifice” yet are perfectly happy to “struggle”. My goal is tranquility. Not instant gratification. As a result, while people were partying it up with home equity loans during the past decade period I was saving. As people are now struggling to make ends meet, I have retired, financially independent. We’re both middle-class. We both made the same income. We just made different choices of whether to spend or whether to save the money. When you have two people in similar circumstances with the same options but making different choices and consequently ending up in different places, we should not blame external circumstances. Yet what it seems like now is like the day after the big party. People are hung over and they blame the bartender (the banks). It’s like they completely miss the connection to all the booze (credit) they were drinking the day before. Like the example in this post, people just don’t seem to get it. Maybe it’s because for some it was their first real drinking binge; like someone just passing legal drinking age with no experience of alcohol and consequently going overboard rather than learning slowly and being wiser about it. Maybe they should have listened more to their parents or grandparents just like we could learn a few lessons about money from ours. Sure, we can now stick together and commiserate on our collective headache, but that doesn’t solve the booze problem. The bartender or cheap credit is really not a problem if people are not abusing it. It becomes a nonissue. Maybe people need more financial education? It’s pretty clear to me that anyone who care to self-educate about credit and savings (and it’s not rocket science, you know) would do just fine as a middle-class person. If anything, if the middle class is disappearing as the Huffington Post says it is, it’s not because it’s being killed off. It’s because a group living on credit above its means is simply not viable as a “species”. Not in nature, not in sociology, not in economics. That really shouldn’t be surprising to anyone. We have a long way to go, but until we actually go, this problem will keep repeating itself over and over getting increasingly worse as long as people are blaming everyone but themselves. See a longer discussion about the middle class on early-retirement.org. 43 users responded in " The disappearance of the middle class "
I couldn’t agree more. Maybe because I am not American, but Argentinian and I grew up with my country submerged in one financial crisis after another, the logic of your reasoning seems so obvious to me that I just don’t understand why people don’t get it. I remember 10 years ago, I was doing an internship in NY and hearing the HUGE education loans my colleagues had (we are talking over 250K because they were lawyers)and wondering how could they start their independent lives like that, with such a huge burden of debt, how was it possible that instead of saving every penny they were buying Armani and eating out getting credit after line of credit after line of credit. I never got it. I always seemed to me that one day the big maná was going to dry out. Anyway…great blog and I am looking forward to reading your book! I would say yes. Same goes for me (naturally), but maybe we can only operate well in a world where most people don’t. Your message is ancient although you give it a distinctive modern twist. I suppose right now there are more and more of us thinking roughly along the same lines, but I think we can safely assume that we’ll never be in the majority, fortunately. We probably don’t need people to overextend themselves, but we do need them to spend more readily than we might do ourselves. Excellent! The one thing I have been shocked by is that when I look into the personal debt figures I have found that it is a higher percentage of baby boomers than the younger people who have gotten in to trouble. Does your research confirm that? If that is the case it gives me a lot of hope that the younger adults out there can do something different and better and have many more years to benefit from those choices. That’s exciting! Actually, she didn’t back up any of her assertions with research. She just ranted and raved with no evidence. As far as the household income of the middle class declining, that’s a blatant misrepresentation that’s thrown out all over the media. Thomas Sowell refutes it (the video here: http://www.youtube.com/watch?v=n0MaY33LJZ0) in his book Economic Facts and Fallacies. The only thing that hasn’t changed in the United States is a dishonest media and an ignorant public. Otherwise, Americans are still doing better than most. Perhaps I’ll send him your post. It’ll either make him mad or make him learn. I fear the former. On the other hand, I am glad that more of my acquaintances seem to be figuring this all out. With good advice, or a little self-education, I see people being more wise with their money. 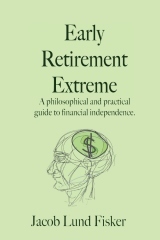 Maybe not achieving extreme early retirement, but they aren’t drowning in the sludge of heavy debt. It bodes well for my own children. That nation as a whole: the jury is still out. The exhortation to live under your means is all well and good. I even preached something very similar to that to my stepson many years ago (“If you can postpone gratification, you can make a LOT of money off of people who can’t”). However, it should be noted that the current state of our economy absolutely depends on people living up to and even past their current means. If everyone took your advice (or rather, tried to), the result would be the most severe depression in all of history. So, while I’m busy saving about half of my income (and looking for ways to make more, like teaching concealed handgun license classes at http://chl-tx.com as well as two other side businesses), I’m grateful to all those fools out there spending like drunken sailors, because that makes my situation possible. P.S. I wish you had a “preview” feature to make it easier to proofread posts. Perhaps we need to rephrase the problem to properly match reality. We are not faced with the “disappearance of the middle class”. Instead, what we have is “the unexpected appearance of the middle class during the 50’s and the return to historic mean starting in the 80’s”. Let’s examine recent history. The outside world was either pummelled during WW1+WW2 or oppressed+exploited by colonial powers. It’s into this vacuum that the U.S. economy expanded greatly and with it the middle class arose. Basically, there was so much economic growth, the wealthy simply could not steal everything like they normally did in the past. But like in thermodynamics, economies that intermix tend to find an equilibrium and the U.S. has been in that period since the 80’s. Humans are comparative animals. Like the studies that show people are happy if they make a little more than their neighbors and coworkers, this also applies to a global scale. The U.S. is still the wealthiest country in the world by far … it’s just no longer 10X wealthier than country X or 5X wealthier than country Y. The comparative issue also applies to generations. Starting in the 80’s, Americans at all levels (government, corporate, private) began to leverage themselves to live a better life. The rest of the world didn’t catch on and kept refinancing our debt for 30 years. So people what people consider middle class now is the leveraged lifestyle of 90’s-00’s instead of the simpler lifestyle of the 50’s-70’s. But returning to the simpler period flies in the face of everything we’ve told ourselves about the next generation having it better than the previous. The problem is one generation super-inflated their lifestyle using debt and now the benchmark has been corrupted. My own prediction is the U.S. will continue to refinance and refinance until it blows up catastrophically. People simply do not change until confronted by total calamity … and no, this recession is not it. Good post! I agree with almost all of it but it is a bit one-sided. MossySF’s excellent reply above gives a little more perspective. I would also add that individuals share only half the blame; the other half is the predatory system that companies and the rich in the US have set up in part to leech on the lower- and middle classes. You have massive lifestyle propaganda, including the American Dream (making many feel like failures and making it difficult for them to achieve small but realistic goals) and “Want! Buy! Preen!” (tied in with the American Dream and weird Pharasee-type beliefs) and the focus on “Freedom” and ideals of people vs. government (both sneakily reducing democratic freedom and power). The laws strongly favour companies and the rich, and most lower- middle classes are ignorant (rotten education and popular culture) and in poor health. On top of this, you have a monolithic, one-party political system and fairly strict cultural bounds on opinions about the country as a whole. All in all, the average US-American is hardly given an opportunity to think outside the box (but are often given fixed “out-side-the-box” options), and if they do, then following thought by action will be against the stream. Most of my ex-pat American friends (in Denmark, Holland, Australia) have woken up from the US-haze to some extent but this has taken years and they are still not out of it. To conclude, you could rightly say “Stupid Americans” but it would also be true to say “Poor, oppressed Americans”. I am a baby boomer, and I remember when you went hat-in-hand to stand on a drawn white line in front of the banker to ask for a loan to buy a house or car. The banker wanted collateral for anything unsecured. The banker needed to know your mom and dad first, but if you had money in the bank, you might get the loan. You could push though an FHA235 home loan with $500.00 down by meeting enough financial qualification. This got you a 1250 sq ft 3bd 1-1/2 ba house with carport, all brick, central heat but no air conditioning. You might also finance 80% of a less than five year old car. This was the baby boomer “start up”. We went from there, and it was an honest and honorable start up. A male baby boomer made his move, as soon as he got back from the military. (Mandatory–join or get drafted) Do not pass go, go straight to Viet Nam. This was of course the 70’s, leisure suits and disco. Somewhere after this things changed—for the worse. The baby boomers did go overboard later. They went overboard as soon as they figured out they could get away with it. Times changed things emerged, people got greedy. But NOT ALL of us did this. Some kept their common wits about them. Some of us are comfortably retired now. I don’t know how to change that other than with some kind of consciousness shift and behavior substitution. A post with some attitude; I like it. It is very frustrating to consciously do the right thing on a consistant basis and watch other people destroy any chance they have for a good life here in America. I don’t think it is an accident though; people themselves determine what economic class they will be in for the most part. It is not an issue of lack of opportunity or access to information. And contrary to what Britz has said, we are not poor, oppressed, and certainly not stupid. But we do take the easy way out, because right now we have that luxury. It won’t last, the true costs will come to bear, and only then will one see change of any magnitude. I don’t believe the situation we’re in now is terribly unique or exclusive to Americans, or to human behavior in general. I’m sure the history buffs out there can find some examples that resemble present day life. I meant poor as in “I feel sorry for (even if it’s half their own fault)”, not as in “don’t much money for food”. Which lower classes of the US (10-15%) don’t, but that’s an even worse story. Calling Americans stupid is meant in this specific context of consumerism and is just a ruder way of describing those people that you, Jacob, and others have reacted to here in this blog entry: Many Americans should wake up and spend less, save more. My point here was in fact that these people might be stupid as you indirectly state (in this context) but that the American system (culture, economy, politics) makes it hard for many people to see things clearly or to be able to do anything once they did see clearly. Oppression is also a loaded word but what else can you call the unusually heavy burdens that commerce and politics places on American citizens? Each country has its freedoms and its lacks thereof but Americans have a few particularly ill-willed burdens put upon them, including planned consumerism. Americans might also enjoy particularly liberal (in the original sense) freedoms, depending on which state they live in, but that doesn’t lift those burdens. OK, to be fair, there is also a third factor in play, along with Americans’ laziness/stupidity and parasitical power structures: many of Americans’ problems have followed automatically from many of the US’ great successes. For instance, the US has earned a mint and conquered half the world, culturally speaking, by exporting and propagating American culture like film and music, with the many American ideas therein. However, these cultural “weapons” have been used indescriminately and have boomeranged back on the US. For instance, you can convince the world that the US is the greatest country in the world but watch out you don’t believe it yourself for then you might grow complacent. Similarly, the US military is great and powerful and has made the US the superpower it is – but it’s use has not been controlled, and now it controls the US as much as the US control it. Indeed, the US military could be seen as an overall liability for the US (think Vietnam, Iraq, oil-consumption). And so on. In other words, many of the previous successes of the US have gone on unchecked and are now burdens. My wife and I are an example of the thriving middle class. How did we do it? Discipline, sacrifice,delaying gratification. Many in today’s America are missing those values. They don’t want to wait, they don’t want to do without, they just want to whine. I work with these peole, and they are baby boomers, and they are just out of high school. They all complain about being broke, but when payday comes, they are the first ones to head out and buy themselves lunch, instead of bringing something from home. They just wait in anticipation of their income tax refund so they can go shopping. Then, the next month they are “poor” again. I don’t feel sorry for them. Even the “poorest” in this country have more than 80% to 90% of the rest of the world’s population. It all comes down to ignorance, in my opinion. Love this reply! The binge drinking analogy and unviability as a species comments really nailed it for me. I really don’t have sympathy for those that overspend their ways into debt, and “struggle” as you called it. The whole “Third World America” thing is pretty silly. I see it as a chance for people to publicly b*tch about the economy and for Huffington to sell books. I’d love to know what her “solutions” are. Thanks Jacob. Step 5 is commendable, but you’re right – the rest are pretty generic and seem to clamor for a return to the glory days (spend without worry) of the 80s, 90s and early 2000s. Huffington has a rosy view of the term “Third World” if these are the worst problems we face. Technically, are you really middle class? Do you earn enough to be well over the poverty line for the country? We don’t. We set ourselves to need very little outside money flowing in. We have plenty in the bank, but that does not show up on the “middle class” chart. According to our “income” we are clearly “poor”. Ha! Five degrees between the two of us,children grown, and loads of things to keep us busy. Poor is not a bad place to be. My sister is a widow with a good sum of money in the bank. Last year she did not have to pay the IRS a dime. Is she wealthy (probably)? According to the government, she is poor. I wonder if the decline of the “middle class” has to do with the number of us who are taking ourselves off the charts? @Jan – Technically, I was middle class (as measured by income). Technically, I am now living in poverty, far below the poverty line. Technically, I am wealthier than most upper class people. As I also go on about in the book, I don’t think “spending” is the proper way to measure it, so I agree there. I don’t think anything has changed as such in terms of what most people do. The vanishing middle class is still due to job loss and wasting money on interest and going broke. Not from being smarter about money and voluntarily reducing earned income. Maybe I understood how to handle my money better than most. Yet whose fault is that? I think it’s everybody’s fault (not that you know but that many others do not). If we as a society do not work harder to solve this problem, the whole thing goes down. Nobody wins in that scenario, in my assessment. You personally may be thriving now, but as the economy goes down hill so will your community (family, friends, neighbors). I wonder how/if you can continue to feel good. At a certain point we will all be affected by other people’s choices – good or bad. @et – Thanks for the fix. Done. Yes, at some point the financial problems will turn into economic problems. That’s when we all head for the hills. I must admit I don’t feel particularly bad when someone who has lived above their means now have to live below their means for a while. After all, I did have to hear a lot of jabs from people spending it up on credit over the past 5 years about how I “should spend my savings to live a little”. Now the scales tip the other way. “I told you so” doesn’t even have to be said aloud. Well, I think this is just a sampling artefact – the boomers have been digging longer, it’s no surprise if they’re deeper in the hole. Try the comparison in twenty years and see if it still holds up 😉 What I see of younger people, they might not have dug so deep yet, but boy… CAN THEY DIG!!! And like there’s no tomorrow. But they have time on their side if they can get real and turn themselves around. @Larry: Good on you and your wife! In fact, we readers of this blog probably all deserve a pat on the back for our awareness and responsibility when it comes to taking care of our own lives and economy. However, we are mostly by nature analytical individualists, mostly well-educated, reasonably well-traveled, and we have all taken the first steps towards evaluating and optimising our own lives, just by finding and reading this blog. It is ok to smugly pat each other on the back for our good sense and prudence but it is arrogant or ignorant to not acknowledge that most people are not in a good position to question their own lives – either they do not have the same individualistic traits, or they are not very good at analysing things or looking outside the box, and in the US, they suffer a constant barrage of cultural and even political/legal/economical oppression: “Buy, work, strive… to buy!”. Blogs like this can help many people but only a fraction of the total (US) population, and one ought to feel pity for all these people – though frustration is also warranted. The Huffington Post has a misguidedly one-sided take on the downturn but it is not incorrect, just only one side of the die. @Macs: 🙂 Yes, the US doesn’t have any actual class(es) but the expression is useful to use about economically-differentiated layers of society, especially since their respective options and behaviours differ. I’ve only met actual class in two countries: India (caste) and the UK (where the cultural shock was bigger 🙂 ). Many I’m just so lower-middle class that I wouldn’t even recognise real upper-class if I stood on its toes. I love this post! Way better than the bla bla Huffington article. Paraphrazing here: we could all work 5 days per month, but for consumers even 30 days a month is not enough because they’ll ALWAYS spend more than they earn. I would say the marketeers won, common sense lost. There’s a reason why marketing companies look for the brightest grads. I see this as a double-edged sword. Side-B: Worker/Marketer – attempts to get folks to realize that for $5-$10/month more, they can get the channels they want, or educational TV that they want. Your broader point taken, but definitely the “evil banks” WERE to blame. If people go getting drunk, it is their fault, no doubt : but it is ALSO the barteder’s fault (more precisely, the fault of our policy on alcohol ). That is why — THAT IS THE ONLY REASON WHY — heroin and other hard drugs are not made legal. You say, drink responsibly. Well then, why not use crack responsibly ? Sure, the heroin addict is to blame for his addiction. But the heroin pusher is far more to blame. The heroin addict should be helped to overcome his addiction : but the heroin pusher should be SHOT. I’m not so sure that the answer is more education. I think it is a matter of personal character. A lot of people know they should spend less than we earn but our desires cause us to ignore that practice. How many times have you heard someone complain about not having any money but they are always the first one to go to the newest restaurant in town or see the most newly released movie in the theater. Since they talk about it so much, they obviously get some sort of satisfaction from it. I worked with one woman who said she’d never be able to afford to retire yet she and her husband had a pool in the back yard, a time share vacation plan, and she borrowed money for her adult daughter’s wedding. People don’t like to admit that their own choices is what is holding them back so they blame the economy, inflation, interest rates etc. The main problem the middle class have is debt. They want everything now and are willing to pay for it later. Once their utility for the item diminishes their frustrations grows as the payments remain constant. I very bad way to live! Great post. Part of the problem (of vanishing middle class) is related to Digitalization of Business, look at what Amazon did to Book stores, Apple’s iTunes impact on Music stores, online Financial services for Advisors, etc… or any digital store or Service that has an impact on cutting out the Middle man in the established economy (which has a correlation with Middle class). Not to say that this touching upon every Middle Class citizen, but it is a growing impact. I do not believe that we are losing the middle class. In essence what has happened is that those who were erroneously labelled as middle class have been exposed as in far too much debt to earn the categorization in the first place. For instance, it has been noted in recent years that some of the folks labelled as “middle class” were only middle class due to their debt rating (e.g., FICA score), income, or spending patterns. If a household income was $65K a year, they were often labelled “middle class”. However, the reality is that if you were to evaluate the debt this household carried in conjunction with their income, the picture is often quite different. Add to the mix the ability of people to appear on paper to be middle or upper class due to “assets” (e.g., cars, boats, houses, jewelry, etc) then it became a really misleading concept. Most of the people I know who are truly middle class might not appear that way to others if they are, as Jacob notes, savers/producers rather than consumers. They might look to others as lower class or barely-hanging-on-to-middle class status but in reality they are far more stable as far as the “middle class” label goes as their wealth is not related to debt, or to assets they do not really “own”. “It’s curious to me how people don’t want to “sacrifice” yet are perfectly happy to “struggle”.” — Very well put! I have seen this for years but realized how to say it so succinctly! The shift of mind-set is a tricky thing to do – because it demands self-examination and self-criticism. As you allude, the USA is the #1 economy globally, it is also blessed with abundant landmass and natural resources, it has a reasonably non-corrupt system of government and a not inconsiderable cache of deadly weapons, and yet… as people of that country, there is a struggle. How can people get so in debt? Too many choices and of course not enough reading of philosophy or the study of mathematics and statistics. Oh, and trashy newspapers. Of which we in the UK, have FAR too many. I agree with RJ. A large part of the people labelled or claim to be middle class are not. A more accurate term might be working class. The working class term though is beneath many Americans, so they borrow/spend so they can look like they live as what they perceive the middle class does. They then claim they are MC and perpetuate the lie by complaining incessantly how hard it is to be MC. If they say it out loud enough then it must be true, right? The Mr nor I never talked about money to others; everyone thought we were poor. Then we retired super early and moved across the country to our dream house and location. Could have knocked them over with a feather! The points made are valid for people who wish to retire extremely early and for those who hate debt. But I don’t get the vitriol for those who choose different routes. I’m of the opinion that there is a happy medium (although it should probably be median) of live for today and save for tomorrow. I don’t wish to sacrifice my present happiness for a future that may never come. Likewise, I don’t want to be so foolish that I squander all my assets today and live in squalor 30 years from now. For me, I am accumulating life experiences while I work and hope to have many more when I retire. But I am not putting all my eggs in either basket. I am not willing to postpone enjoyment of life to the mythical early retirement and I am not willing to spend every dollar presently to ensure an impoverished old age. I’m close to 50 and close to a million saved, but I’m also spending $25,000 this summer to go to Svalbard to see polar bears this summer, just because it will be fun and add value to my present life. “It’s curious to me how people don’t want to ‘sacrifice’ yet are perfectly happy to ‘struggle’.” <– Yes, yes, and YES!! What's up with that? To be honest, I’m not seeing signs of this “recession”. Most people I know, including those on lower incomes (ie. part time jobs), are still blowing $50 to $100 on a night out, eating at gourmet restaurants, buying craft beer, etc. Heck, even some people who LOST their jobs are still trying to maintain their spending levels and simply borrowing money (or worse, taking it out of their mortgages) to go on holiday. Because, y’know, they need time to think and stuff. Is a disciplined lifestyle that focuses on longer term goals over immediate gratification ultimately more satisfying? Yes, of course it is. This is also coming from someone who can see this, a retired phd scientist, from another country. You have lead a life focused on pursuing a reason based process. I count myself fortunate to have been blessed with a similar path. I haven’t had a tv in 13 years. I deliberately control how much passive media/advertising enters into my head. I’ve traveled a little bit. I have a graduate degree acquired with no debt. I have a good job. I have no debt. I save substantially. I read. I married someone who is smarter than I am, who helps to keep our household focused on longer goals. Life is pretty good. Of course, these indebted folks are not doing it right. The greater point to be made is, what about the greater damage of America’s hyper-capitalism? Do we, the delayed gratification folks, really want to continue to see the suffering caused by a combination of culture and personality traits? Or just keep patting ourselves on the back? Jacob, I applaud you doing outreach with your message of voluntary simplicity leading to greater personal freedom. This type of community helps to bypass much of the interference of America’s media/consumer cloud.